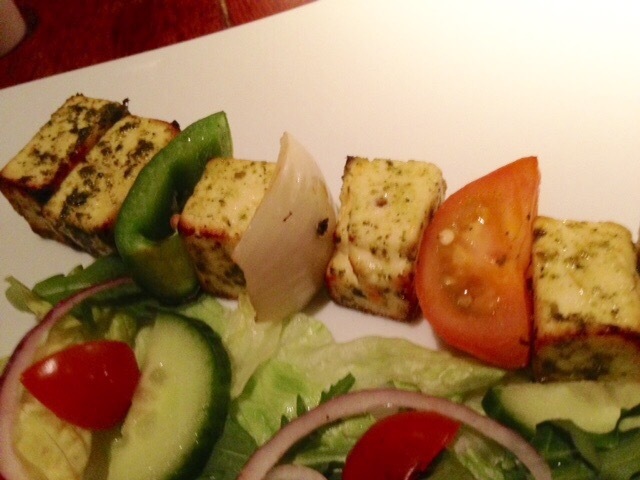 Restaurant review: Kababish, Moseley, Birmingham. 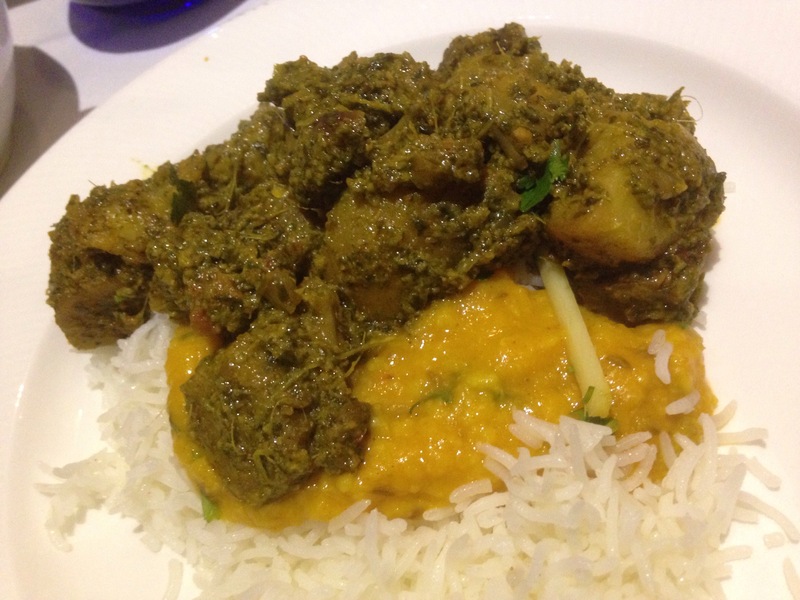 Many years ago when I was a young fledgling curry eater and ‘Don’t look back in Anger’ was number one, the Kababish was my favourite curry house. Moseley Village was a lot less hipster and more crusty around the edges, pubs were pubs and curry well it was a balti or nothing fancy and washed down with a pint not a cocktail. The good old days, maybe we thought they’d live forever, maybe it was the ‘day we caught the train’ to the future. Maybe I’m just grumping. Maybe it’s the cocktail infestation in the village. But less of the Brit Pop references. It’s testament to the hard work and quality of this independent and family run restaurant that now over 30 years since it opened its still going strong on the same site in a village where others have come and gone and food and drink times have changed. Ruth and I decided to visit one Saturday evening, finding a bustling restaurant that had a good mix of larger and small groups. 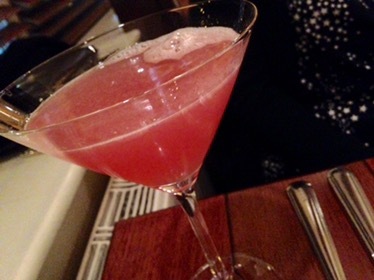 One of the changes since those bygone days is the introduction by Kababish of a cocktail menu. I’m not a massive fan of cocktails with food generally, don’t get it when there’s beer or wine available (but with snacks/ small plates/ aperitivos its ok). This is especially a no no with main courses but in saying that I’m happy to slurp away pre or post dinner with the best of them. Thus, Ruth and I dipped our palettes into a couple of cocktails before the main event. Myself The Exceptional Gentleman from their Signature cocktail menu and Ruth the Cosmopolitan which she enjoyed. 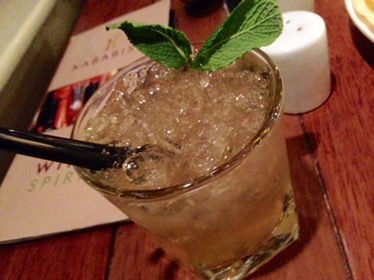 My cocktail was lovely, Jack Daniels, shaken with fresh mint, ginger, apple juice and a dash of champagne. An indulgent tipple with a bite that was a fine pre dinner drink. 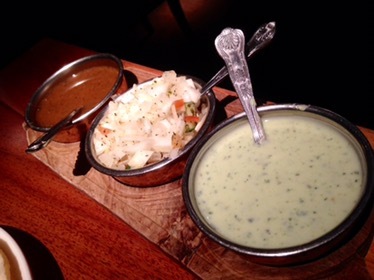 For the food, Poppadoms are crisp with some excellent sauces. The mint, zingy and with a nice sharpness which goes well with the cocktails (poppadoms are snacks). 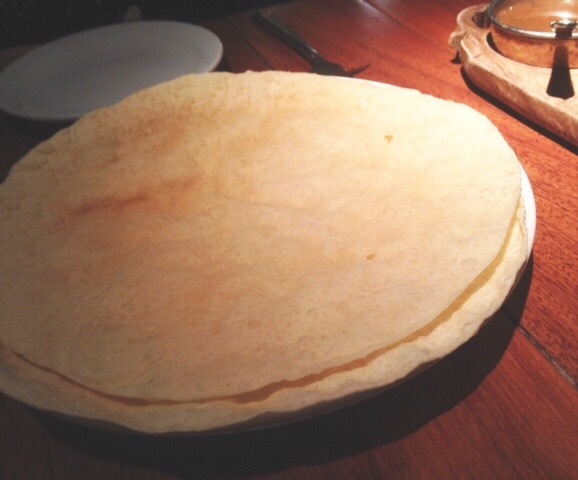 At most curry houses I have the desire to keep eating. Order too much or overdo my appetite. 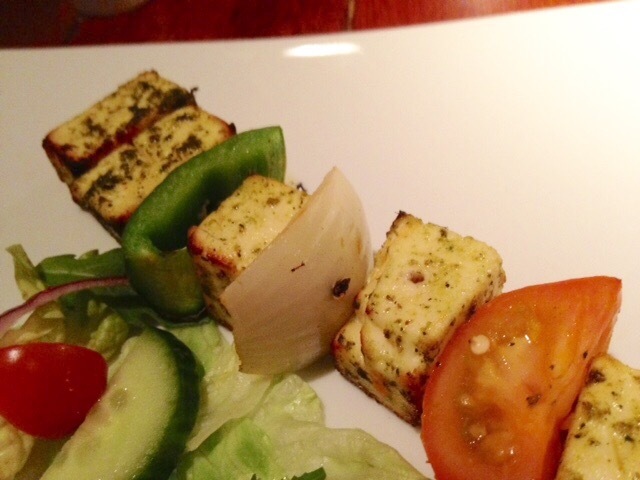 The Paneer Shashlik starter is lusciously creamy on the inside and just charred perectly round the edges so that the soft and crisp texture can be dusted with the thinnest pasting of the mint sauce a la 1990’s with the chilli sauce zinging up the plain salad like a riot of splashy artwork in Tate Modern. 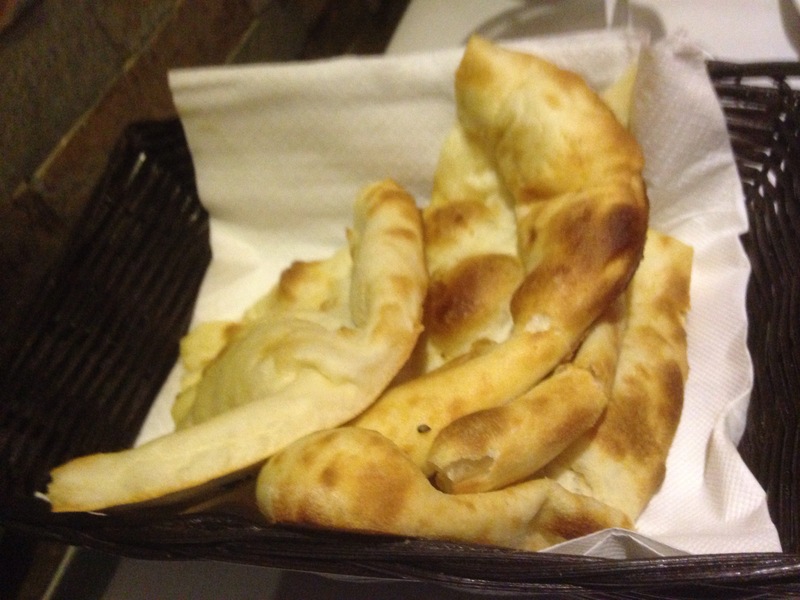 The starter soothing and reassuring of the standards set by Kababish’s kitchen. 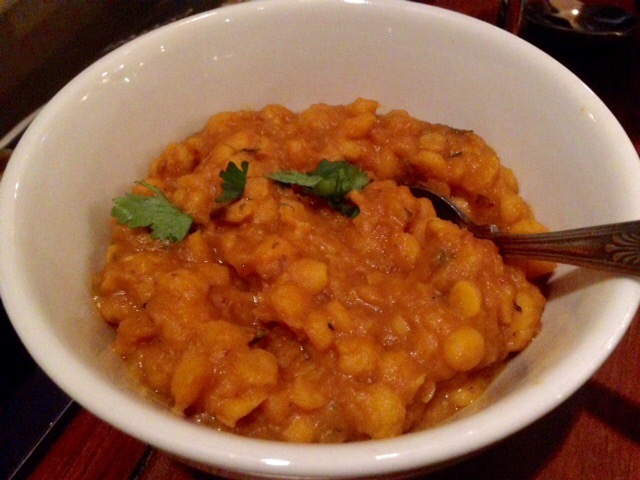 The Tarka Daal is one of two test dishes for me of a good curry. 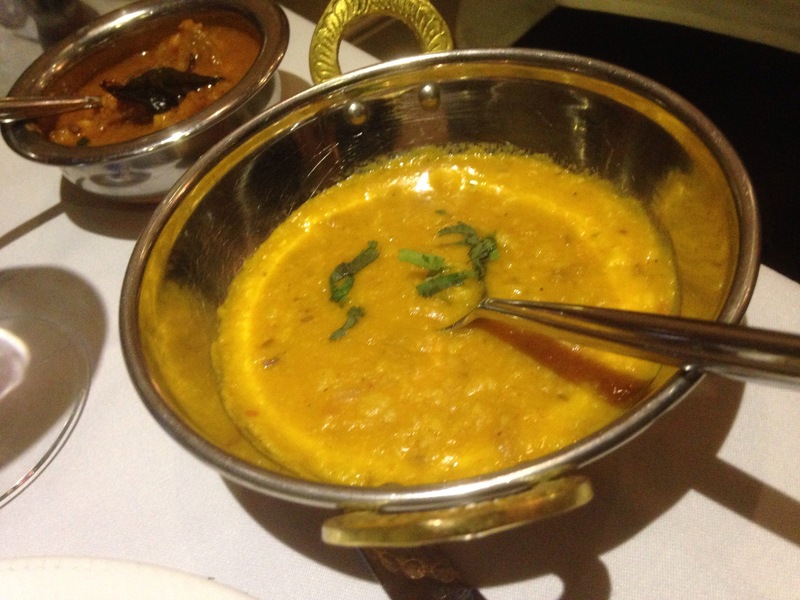 Here it bristles with spices, a dreamy daal of channa lentils, a creamy must have dish and possibly the best in Birmingham, still the quality dish of a bygone memory in time for me. An accomplished rendition. 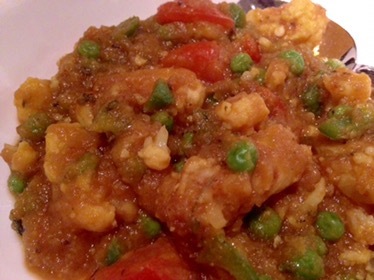 The Gobhi Mutter, fresh cauliflower, with onions, peas and peppers. 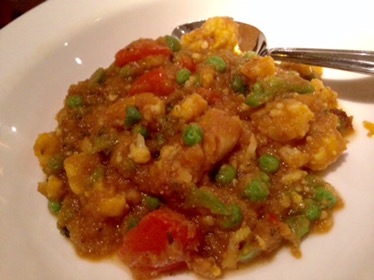 A classic veggie curry, perfect for a main veggie dish. 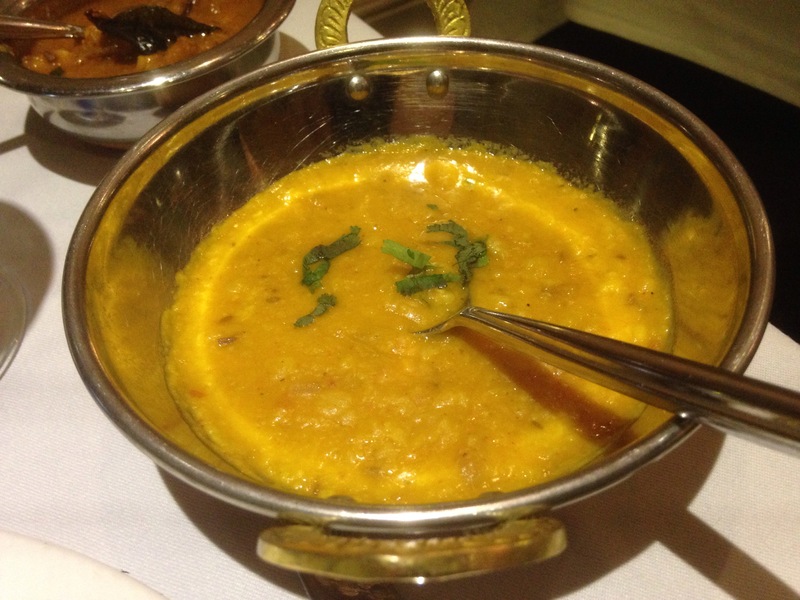 Subtle spicing, slight tomato flavour that makes for a complimentary dish to the daal. The Saaag Paneer, the other test dish of cooking credentials is here fresh, with a nice balance of spices and fresh ingredients. 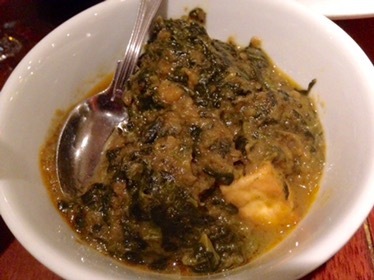 The spinach not too much, but complimenting the creamy paneer and herbs. 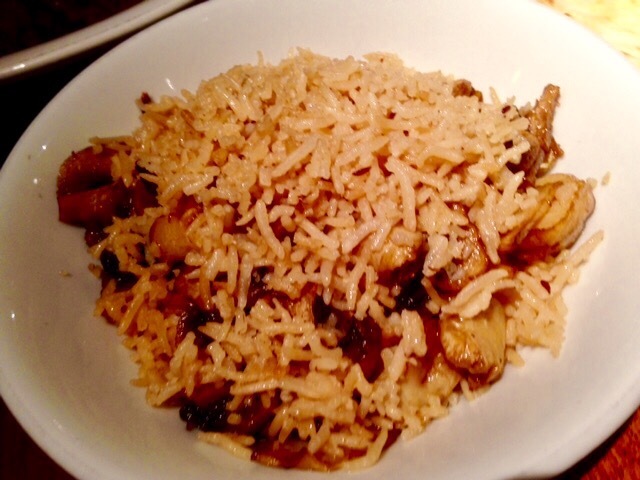 A delightful dish, another for memory lane. 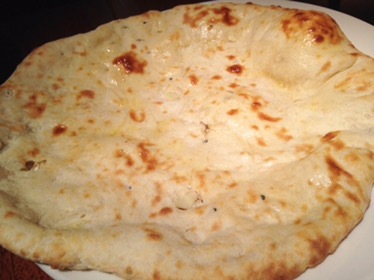 Accompanied by a well flavoured Garlic Naan that’s fluffy and light and a not grainy but softly cooked Pillau Rice. Dishes were washed down by a tremendous Malbec. 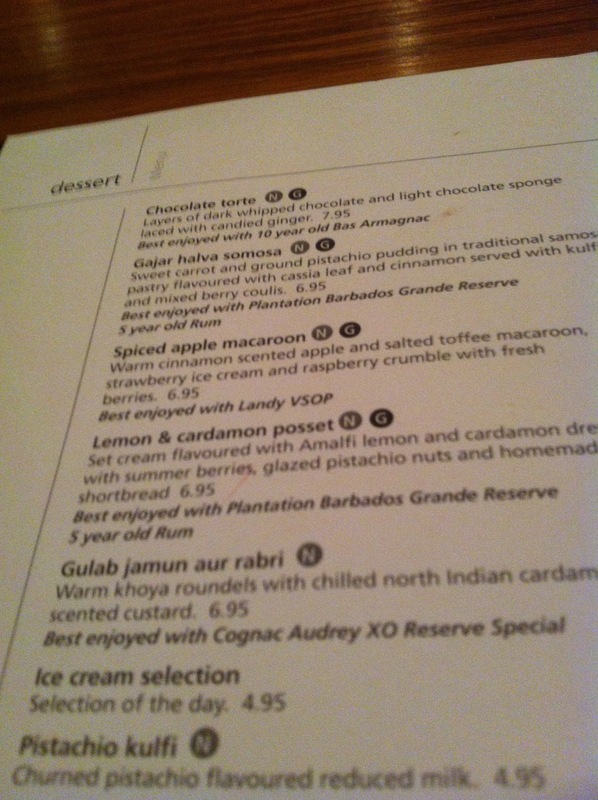 The only downer was my pudding the Ras Malai which was shockingly poor as only curry restaurants deserts can be. Maybe I just chose wrong but it was disappointing and not what I remember from Previous Ras Malai offerings in other restaurants. Ruth enjoyed her Ghulab Jamon. Oh well! The Kababish is not fancy, not flash. 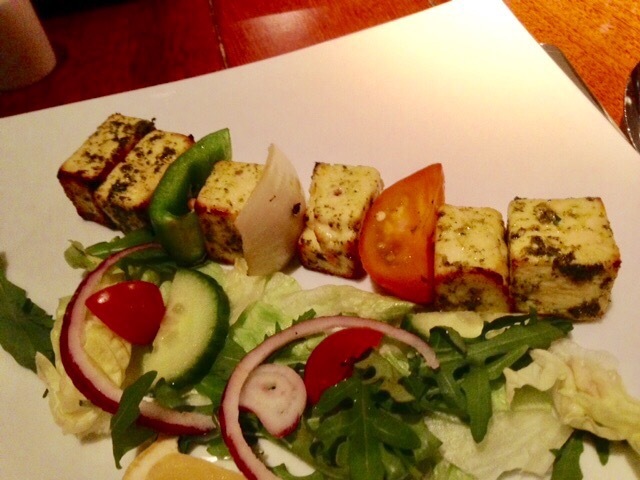 It’s a rewarding and reasonably priced restaurant that ticks the boxes of quality, informality, good friendly service and food made with passion and cooked fresh. For Vegetarians it offers numerous tempting options and has the slight subtlety in choice that is tempting for repeat performances. Though I walked through their doors 22 years ago the consistency and core values remain to this day and that’s the key to a good neighbourhood curry (open since 1983) and the essence of what makes The Kababish popular and successful and proof that though times change a good curry at Kababish doesn’t. The buzzy weekend atmosphere is a bonus which in all makes Kababish a ‘Champagne Supernova’ in the bright sky of Moseley. 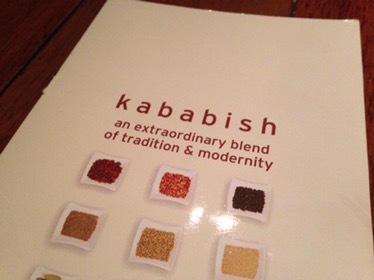 My friend used to say that The Kababish was the best curry house in Moseley. You can argue that it was and still is the best. So Here’s to many more years of this independent stalwart in an ever evolving Moseley. 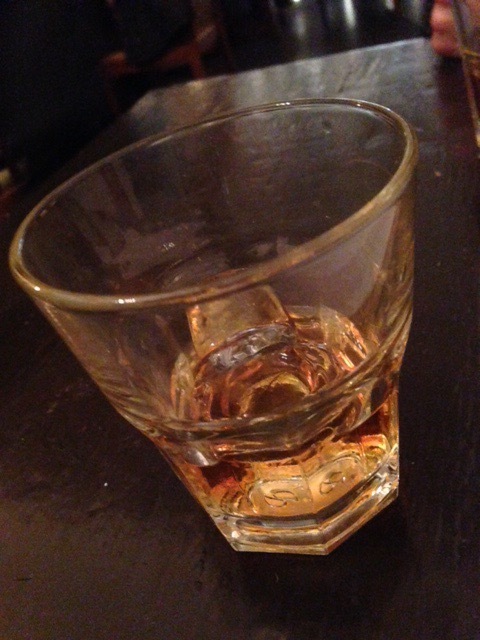 For afters try The Bulls Head (The Cuban Embassy) in Moseley village for a rum fest and after dinner drink. The Gastro Card offers diners 15% off food from Sunday-Thursday. We paid for our food and drinks in full. My opinions are honest as always. 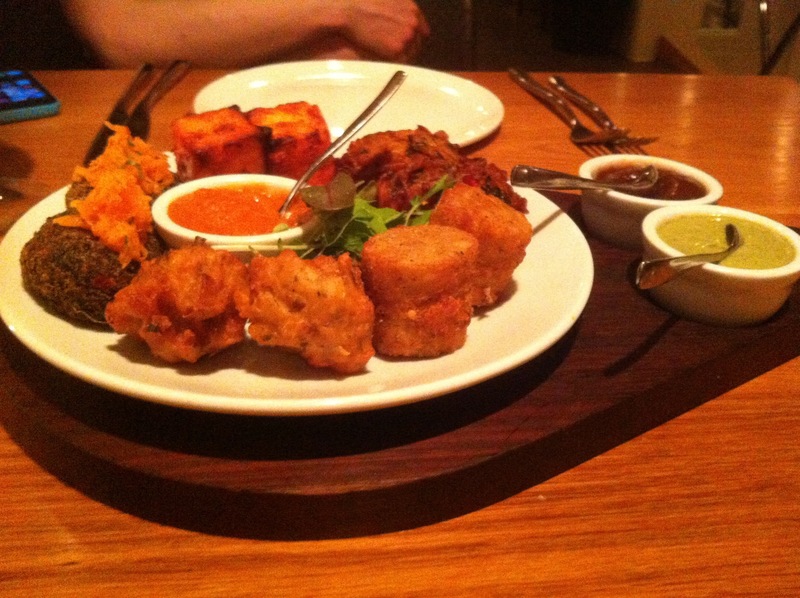 Veggie dishes of the day: Umami Indian Kitchen, Harborne celebrates its First Birthday. There are many things that make me happy. The first daffodils in Spring, a sunset after a brilliant sunny day, the sight of Autumn leaves turning, there hue spectacular in a cooling wind. Yet, all are casual affairs compared to the happiness I feel when an Indian restaurant knows how to make the basics well. Certain dishes can seem straightforward but are so often uninspiring and leave me cold. 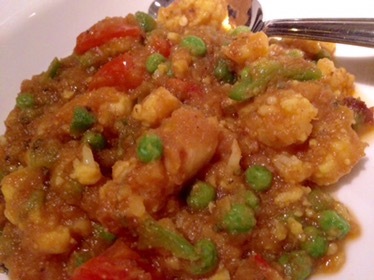 As a Vegetarian I’ve written frequently about my love for a good curry. Birmingham is blessed with some aces in the pack, but also has the one sauce for all kind of attitude which quite frankly is inexcusable these days. I’d never been to Umami in Harborne before Ruth and I were invited to their first Birthday party and new menu launch the other night. I’d read good things, so my anticipation was high. 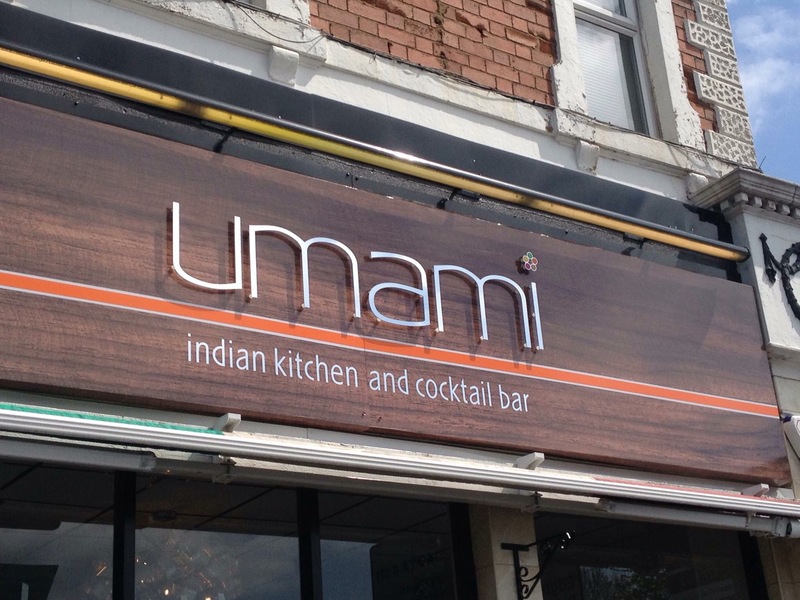 Umami Indian Kitchen named after the fifth basic taste is located on Lordswood Road, just off the Harborne High street, it’s split into two areas, a modern bar area and then a step up to the dining room into a modern feelings space with mood lighting and white linen which feels both stylish and relaxed, romantic and good for families. The restaurant has been open a year, and has a good regular customer base. The service feels genuine and friendly and holds on tho the core beliefs that the food is what helps to bring people back. 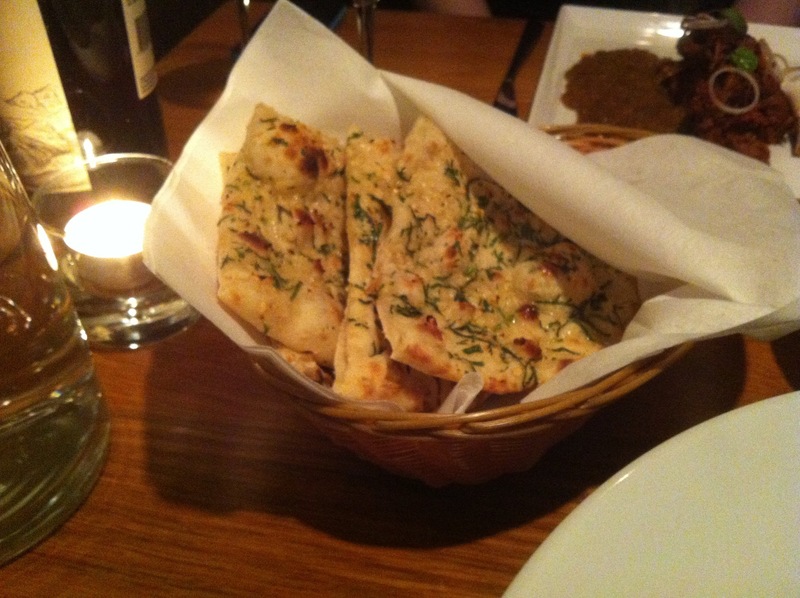 Head chef Mandeep Bajwa has worked in some of the finest establishments in the subcontinent and Middle East. On arrival Ruth and I found a busy party atmosphere. We were greeted with drinks, two Sparkling wines to toast their first birthday and then a number of canapés (vegetarian for me included Paneer skewers with peppers and veg samosa made like a Chaat). Both were delicious and appetisingly well made. Our main menu in the dining room included a number of curries (meat and fish for Ruth and Vegetarian for me, served with Naan and two types of rice. 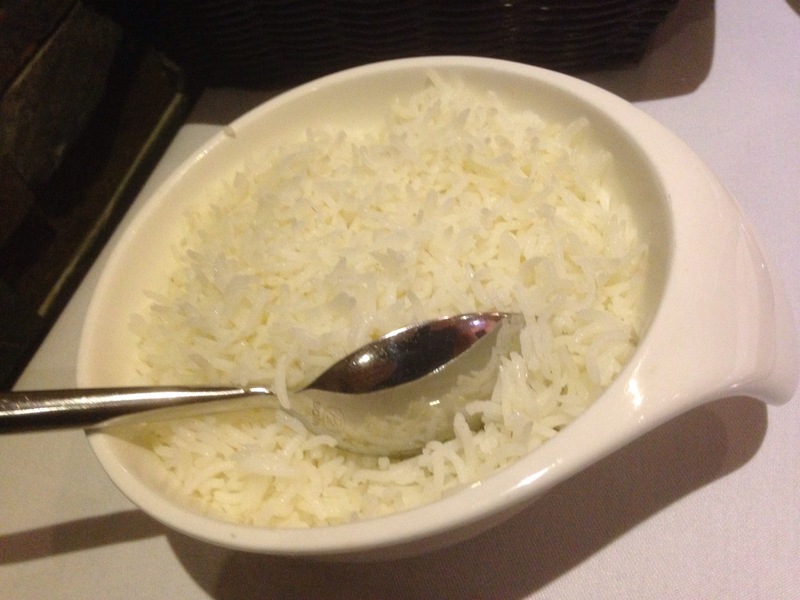 As I’ve already said, how a restaurant makes the basic curries determines the quality of the restaurant to me, been able to extract the unique flavours of the dishes and provide the base for the rest of the meal. The two curries I was given (Sadly no more than two, there were 5 in total, including 3 meat options that Ruth ate) to try were lentil Dhal (dal tadka bajrangi) and Potato and Spinach (Aloo Palak) . Both different textures and flavours, both unique and comforting, both were made perfectly. The Dhal in particular, creamy yellow lentils, with a tempering of cumin, and garlic flavours offering a punch of flavour, the ultimate comfort dish and perfect with a buttery Naan that I lapped up. 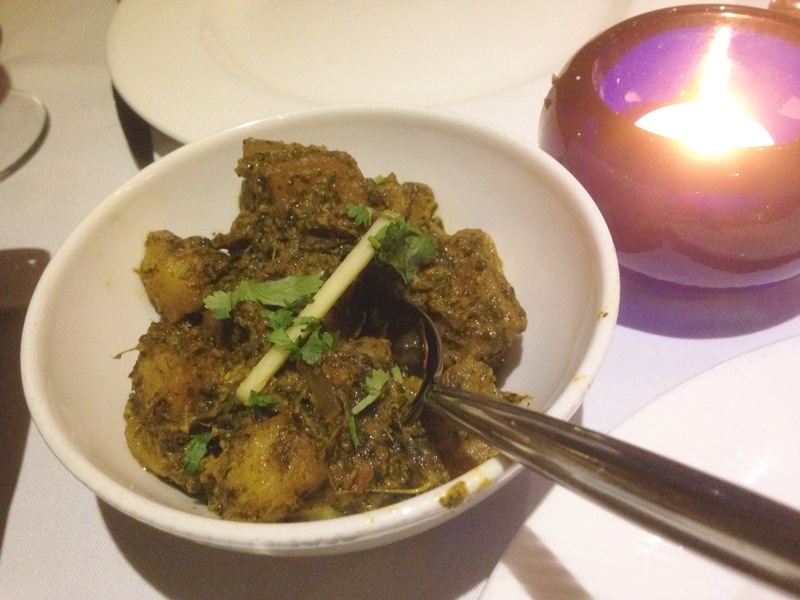 The Spinach and potato curry (Aloo Palak) with delicious jersey potatoes and vivid green spinach with a good garlic and ginger flavour running through. Both curries were Superb, fully flavoured, perfectly spiced. Very enjoyable. Ruth’s meat and fish curries were also well received. Though the food I ate at Umami Indian Kitchen was only sadly part of a full meal the dishes were so well constructed and flavoured that the full new menu is an enticing prospect for me to try in the future. An experience j look forward to. 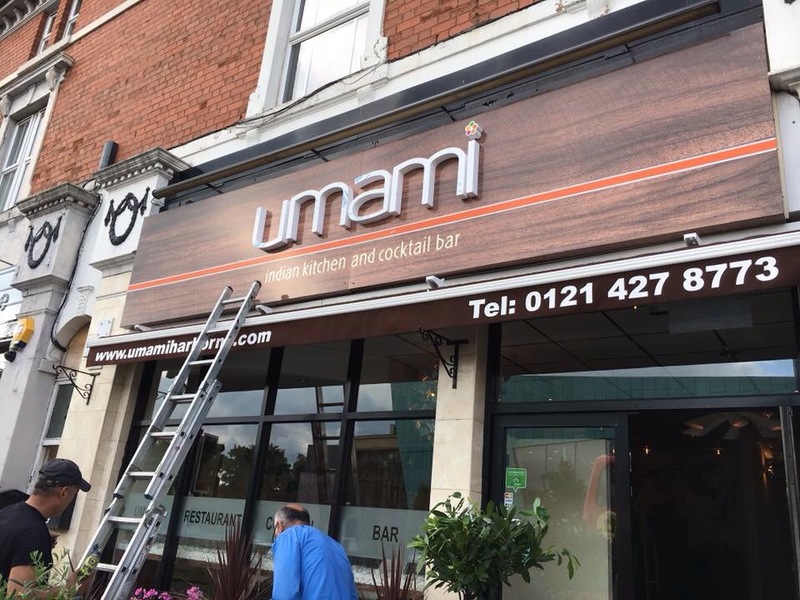 As I said by getting the basics right it’s a good benchmark of the rest of the menu and for this reason alone Umami is a worthy ‘new kid on the block’ and certainly amongst Birmingham’s best curry restaurants. 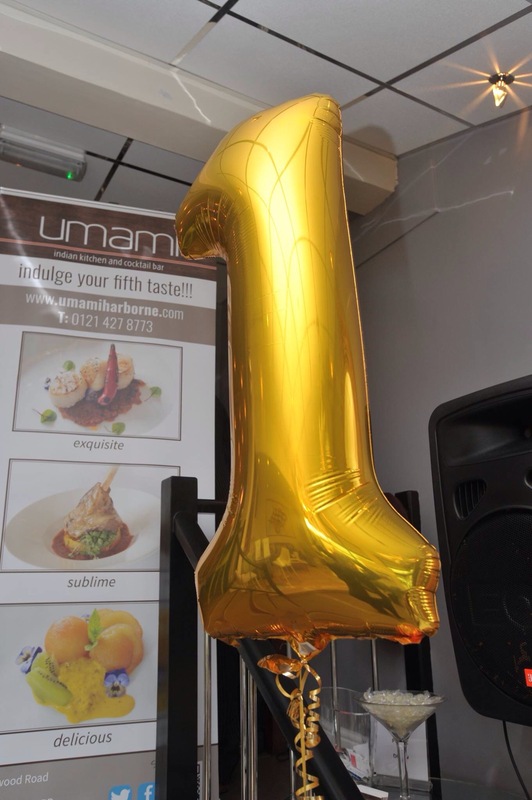 We were invited by Umami to their first birthday party and menu launch, all food and drinks consumed were complimentary. This doesn’t affect my honest review and opinions. 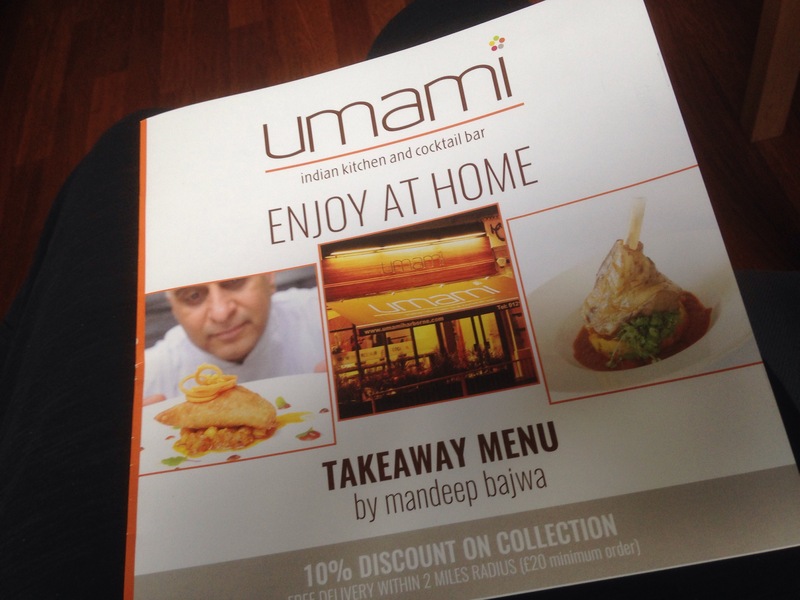 Umami Indian Kitchen and cocktail bar, 25 Lordswood Road, Birmingham, B17 1RP. 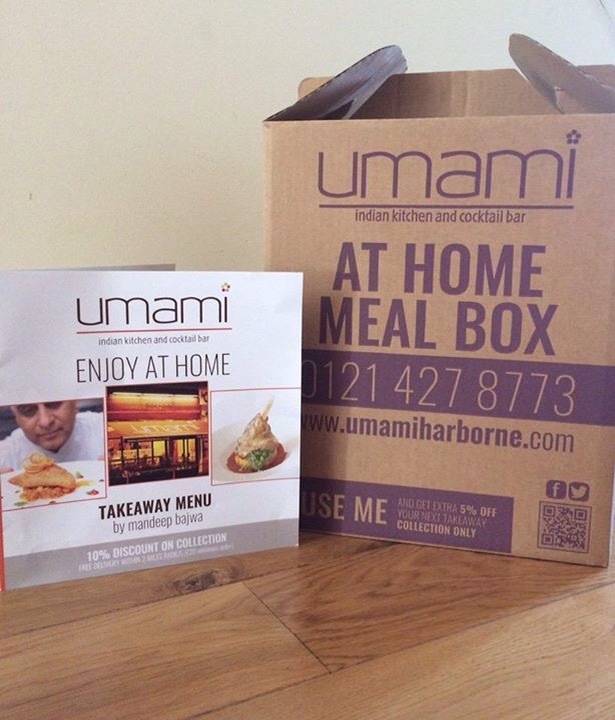 New environment friendly take away boxes and take away menu. A tempting prospect. Let’s get this out of the way from the begining 🙂 I think Lasan is one of the best restaurants in Birmingham. I have been there many times over the years since it opened and I think it is one of the best places for vegetarians to eat in and around Birmingham City Centre. 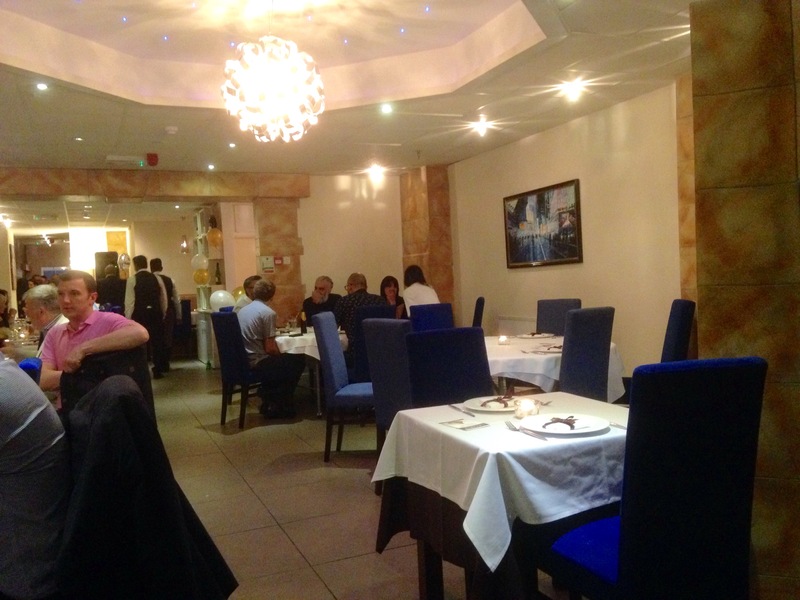 Lasan is located in the Jewellery Quarter area of the city just off St Paul’s Square. It is in a tidy location, one that is smart and discerning, with many good eats and drinks. Lasan restaurant has won numerous awards winning Gordon Ramsay’s the F Word a few years ago. Chef Director Aktar Islam has graced our TV screens on the Great British Menu with aplomb cementing his and Lasan’s reputation as a culinary go to destinaion. 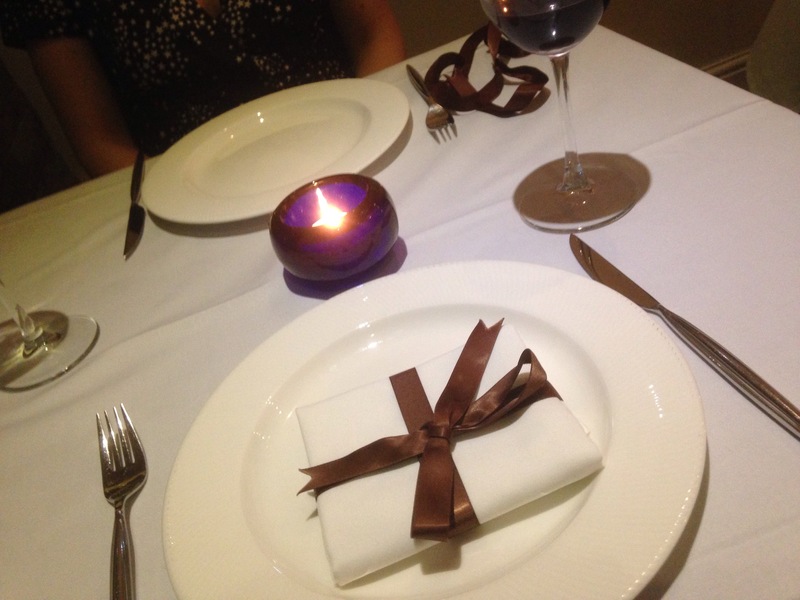 My wife Ruth and I were visiting to celebrate our Wedding Anniversary, its a special place for us, one of the first places we went together, its friendly charm and service along with the glorious food makes us feel that its a restaurant deserving of a celebration. There are many good vegetarian options on the menu. Ruth and I decided to share a vegetarian platter for two which includes a assiette of traditional vegetarian bites, caraway spiced paneer, which is a subtle blend of mild cheese and tasty spices that coated enhances the flavour, spinich and potato tiki, onion and palak pakora,, south indian potato cakes and sweetcorn and onion bhonda, all served with a tamarind and mint sauce. It is superb, the flavours and variations of scents are magnificent. It is without doubt the dish to have for vegetarians for the full flavour of Lasan. 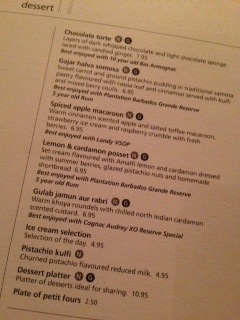 For me the Panner is perfect, the best I have had anywhere, and the potato cakes an all round taste sensation. To follow (Ruth ate non veggie, because she is) 🙂 I ate the sweet potato kofta, a particular favourite. This is sweet potato roundels flavoured with crusted corriander and cumin seeds, rolled in toasted cashew crumbs resting in a rich onion and tomato sauce. This main course is superb. The rich tomato and onion sauce is subtly creamy, its spice resting around the sweet potato with a punch that is not to overpowering but richly compliments the toasted cashews and onions of the kofta. A taste sensation that when accompanied by one of the many side dishes that are all vegetarian makes for a hearty main course with many tempting flavours. 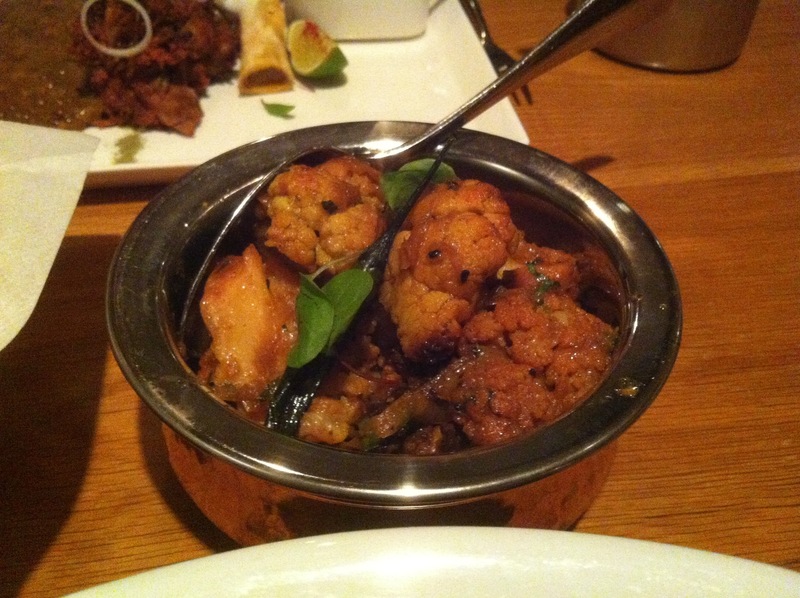 On this occasion I chose the Gobhi Angara, a tandori roasted cauliflower which is coated in a beautifully scented onion masala. 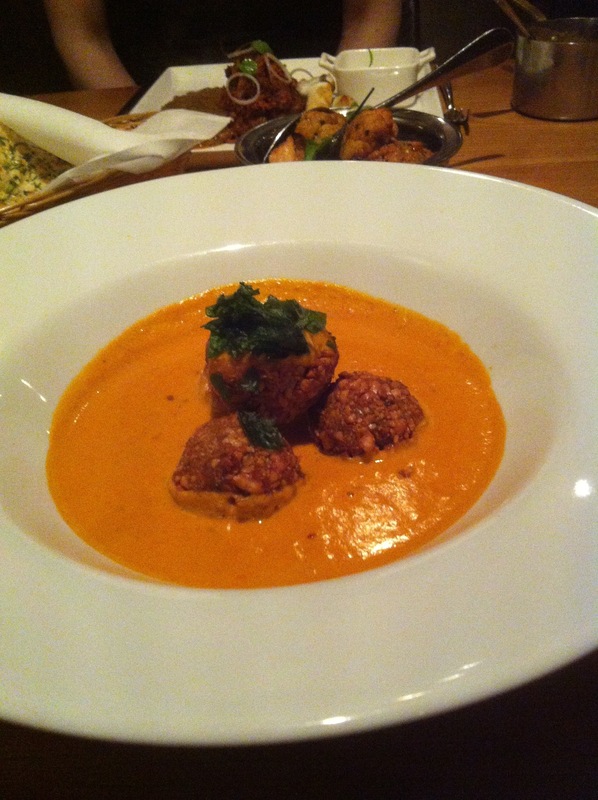 A lovely dish, that compliments the silky rich tomato sauce of the kofta perfectly. There are many good veggie options on the menu. We ordered two puddings to follow. 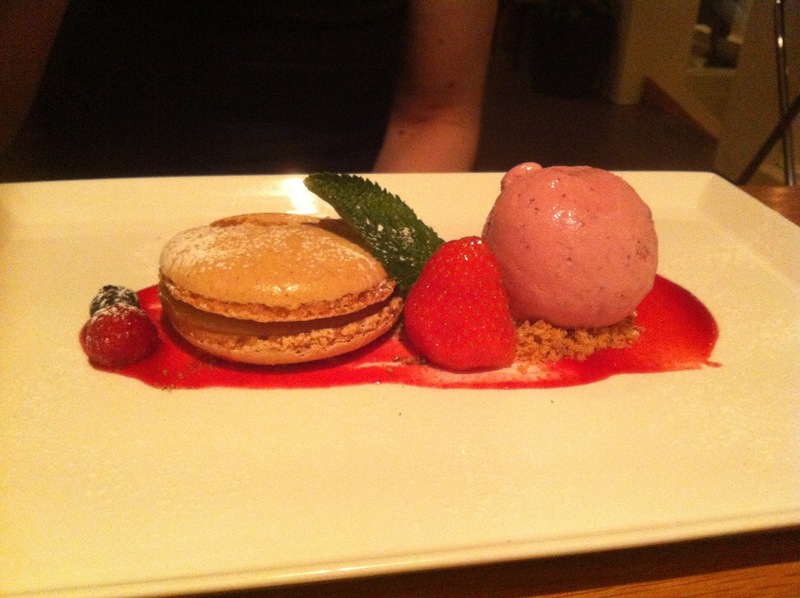 Ruth ordered the spiced apple macaroon, which was a warm cinamon scented apple macaroon that she said was delicious. A good flavour of spiced apple against a well made macaroon. Superb. The service throughout was friendly, and as always with Lasan is spot on. 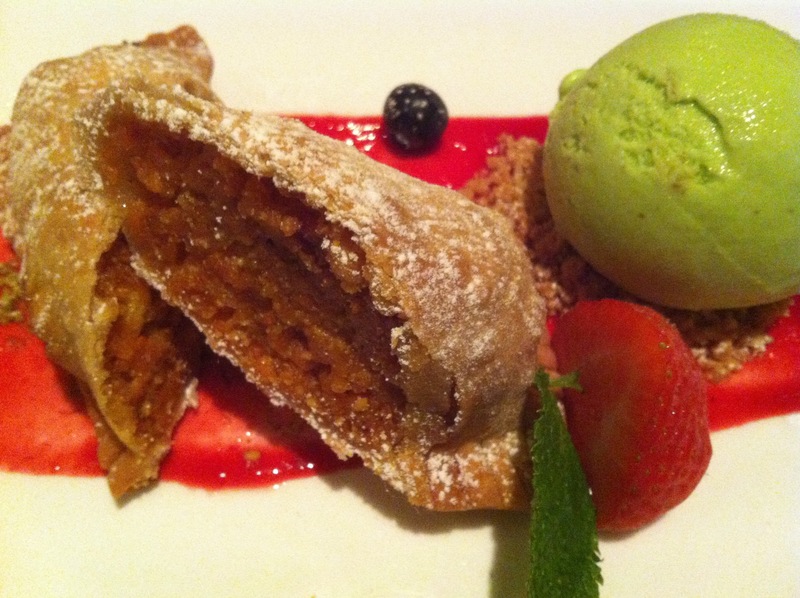 The lasting impression of Lasan Restaurant is one of confidence. A confidence in their dishes, their flavours and their hospitality. Those are all the things to applaud with Lasan, and the feeling you have the diner when you leave is when can I return. This is a testament to the hard work that goes into making the Lasan experience whole and complete. One that teases the senses and stirs the soul.